The Pay4golf Fantasy Challenge is presented by GolfBalls.com and gives you the chance to compete against other players for great prizes. You can play in your own private league and still play in the Fantasy Challenge! 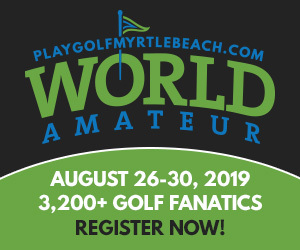 2019 FANTASY CHALLENGE REGISTRATION NOW OPEN. Each week you will select one golfer for a tournament from the field report. You will earn dollars based on the money your selected golfer earns during a specific golf tournament. The total of all your weekly money earned will be what determines your overall money earned. During the season, there will be a WEEKLY WINNER of a Gift Certificate to GolfBalls.com that is given to the participant whose selected player earns the most money for that week's tournament. In case of a tie, a random drawing will be used to determine the weekly winner. The fantasy golf season will be broken into 3 segments. There will be one SEGMENT WINNER with prize provided by GolfBalls.com that is given to the participant who has the highest cumulative total of earnings for all selected players during the segment. In case a tie, the team with the most money earned during the last week of the segment, going back one week at a time until the tie is broken, will be declared the winner. If there is still a tie, the winner will be determined by random drawing from eligible participants. 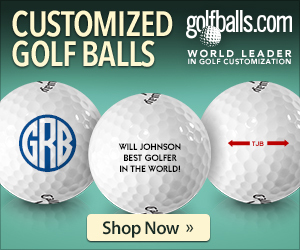 Gift certificates to GolfBalls.com will be given to the TOP 3 OVERALL WINNERS in the year to date standings. In case of tie for an end of season prize, the team with the most money earned during the last week of the fantasy golf season, going back one week at a time until the tie is broken, will be declared the winner. If there is still a tie, the winner will be determined by random drawing. Total for all prizes over $1,000 in value. You can only select a player ONCE during the entire season. When making your player selection each week, players shaded in gray are not eligible for selection based on league rules. If you fail to select a golfer or have selected a golfer that does not compete in the tournament, you will be awarded $0 toward your overall total dollar amount for the week. Website posts the current field report for the tournament each Monday of the tournament week. Website is not responsible for missing players or selected players on the field report that withdraw from the tournament before or after the tournament has started. Check to make sure your selected golfer is still playing. For tournaments that run from Thursday through Sunday, the deadline for picking a golfer each week is 2:59 AM EST on the Thursday of the tournament. If a golf tournament runs Wednesday through Sunday, the deadline for picking a golfer each week is 2:59 AM EST on the Wednesday of the tournament. If a golf tournament runs Friday through Monday, the deadline for picking a golfer each week is 2:59 AM EST on the Friday of the tournament. YOU MUST BE A REGISTERED MEMBER of the Pay4golf Fantasy Challenge to be eligible for all prizes. All earnings from custom private leagues are not eligible. For more information about Fantasy Game Central, please visit Frequently Asked Questions and Terms & Conditions. TOURNAMENT SCHEDULE. The 2019 Fantasy Challenge player selection starts Monday, January 28, 2019 with Waste Managment Phoenix Open. You will be able to make your selection starting on Monday of each golf tournament. You must be logged in to play the Pay4golf Fantasy Challenge game. Please use the form on the right to either log into your account or create a user profile. If you have already signed up to play Fantasy Challenge, you will be redirected to the Fantasy Challenge page after login.